You may remember from the SuppVersity news on Facebook that the use of cobalt supplements can indeed (as it has long been touted and doubted) have similar effects as EPO (Hoffmeister 2018). Yet while the study by Hoffmeister et al. showed that the VO2max correlated significantly with the 2% increase in Hemoglobin in response to the ingestion of 5 mg of ionized Co2+ for 3 weeks, an acute performance-enhancing effect was neither tested nor observed in the German study. That’s in contrast to autologous (=your own) blood infusions. A simple injection of only ~135 ml of red blood cells that were previously isolated from 450 ml of your own blood 2h before training or competition will improve your endurance performance by 5%, … according to the latest study from the University of Copenhagen (Bejder 2018). And if you’re rather into lifting weights than cycling, running, or triathlons, today’s research update also discusses the results of a recent small-scale study by Malovany et al. (2018), which puts a(t least a preliminary) number on the usefulness of escalating post-workout protein intakes from high to very high. Sounds interesting? Well, then let’s start with the “blood doping” study by Bejder, et al. Instant (2h post) 5% performance boost in athletes w/ 135 ml of red blood cells (#RBCs) from a single 450 ml phlebotomy (Bejder 2018) — While you all will have heard about “blood doping” and the infusion of autologous (=their own) blood and/or isolated red blood cells (#RBCs) in cyclists and other endurance athletes, I bet that you will be as surprised as I was that a single injection of 135 ml of red blood cells (#RBC) from a rather small amount of your own blood (450 ml) will improve your endurance performance by 5% – and that only 2h after you injected the RBCs. Performance tests: (1)Two 650kcal time-trial three days and 2h after receiving either ~50% (135 ml) of the RBCs or a sham transfusion on subsequent days + (2) One 4×30 s all-out cycling sprint interspersed by 4 min of recovery was performed six days before and three days after a second autologous blood transfusion (235 ml). What the scientists found was that the subjects’ mean power in the time trial (TT) to was increased in time trials from before to after transfusion (P<0.05) in BT (213±35 vs. 223±38 W; mean±SD) but not in PLA (223±42 vs. 224±46 W | see Figure 1, left). 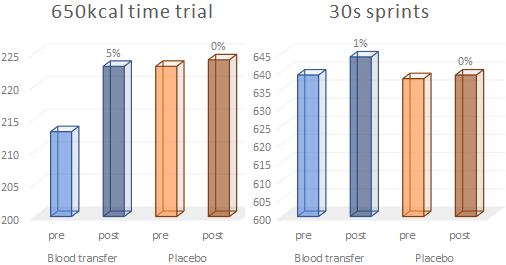 Figure 1: Mean power in the TT and during the 4x30s sprints in the active and placebo trial (Bejder 2018). For the four 30 s sprint bouts that were performed not 2h, but three days later no effect was observed [BT (639±35 vs. 644±26 W) and PLA (638±43 vs. 639±25 W) | see Figure 1, right]. What does the “blood doping”-study tell us? The study shows that there is an instant increase in endurance performance that’s practically highly relevant for athletes competing in various sports from a relatively small amount of RBCs (~135 ml) you can extract from a single phlebotomy. Improvements in sprint/anaerobic performance, on the other hand, seem unlikely. After all, despite a second (larger = 235ml) injection of RBCs the subjects’ performance during the 4x30s bouts of all-out cycling on day 3 after the initial transfusion was not increased – in the presence of elevated RBCs, that is (5.03 ± 0.28 versus 4.58 ± 0.17×10^12/L blood) | Comment!. Optimal post-workout protein intake for max. protein synthesis over 8h in resistance-trained women is 1.5-2.0g/kg – More will just be burned as fuel (Malovany 2018) — For men we’ve known this all along: There’s a threshold value not to how much protein we can in- and digest in one serving, but rather to the amount of protein that can be used to fuel skeletal muscle protein synthesis after workouts (Humayun 2007; Jäger 2017). And while they certainly have to be considered preliminary due to the small sample size of N=9, Malovany et al.’s (2018) latest study shows that a similar threshold exists for female resistance trainees, too. Subjects: N = 8 healthy females w/ regular menstrual cycles, who perform whole-body resistance exercise regularly, had trained each major muscle group (i.e., chest, back, and legs) at least twice per week consistently for at least one year prior to recruitment, didn’t do more than 30 min of continuous endurance training per exercise session, and whose 1RM on the bench press and leg press of 0.7 and 2.3 × bodyweight, respectively. Testing days: ingestion of liquid carbohydrate beverage (1 g/kg as a 1:1 ratio of maltodextrin: Gatorade® Endurance) 1h before std. workout (see exercise standardization); each participant completed 6-7 metabolic trials (n = 50 for total trials completed) during the luteal phase, which was defined as the second half of the menstrual cycle. As you can see in Figure 2 (left), the scientists observed a ceiling effect for the protein synthesis with protein intakes >1.5g/kg body weight – the horizontal nature of the linear trend for the values clearly indicates this. The rate of protein oxidation, which was estimated via the urinary Urea: Creatinine ratio, on the other hand, increased linearly with increasing protein intakes (Figure 2, right) – without a threshold effect, i.e. the more protein, the more is going to be oxidized (see bottom line for discussion of what would happen w/ bolus vs. 8×1/h ingestion). What does the “protein ceiling”-study tell us? Due to its small scale (N=9) and very specific participant characteristics (young, healthy, resistant-trained women), the results of the study at hand have to be considered as good, but preliminary evidence for the existence and quantity of a protein synthesis threshold (~1.5g/kg/8h) during the first 8h after a workout. In that, it is important to point out that this effect was achieved by the sequential ingestion of a total amount of 0.2-2.9 g/kg of protein every hour. It is not just likely, but almost certain that taking the ingestion of a single bolus of the amino acid mix immediately after the workout (for 1.5g/kg that would have been 100g per subject) would have yielded different results. More specifically, one could speculate that the protein oxidation would have increased, while the net protein synthesis would have decreased w/ dose-escalating bolus ingestion (compared to the sequential ingestion protocol used in the study at hand) – a result I’ve reported for whey in a 2013 article from the archives. Speaking of whey: It is not clear to which extent the results can be generalized to different protein sources, like whey (concentrate, isolate, hydrolysate), micellar casein, whey+casein mixes, actual egg protein, etc. as both, their digestion kinetics, as well as their amino acid and functional peptide content differ significantly. Still, the recommendation to consume 1.5-2.0g/kg protein within the 8h window after a workout to optimize protein synthesis in healthy, resistance-trained young women is the best we have as far as “one-size-fits-’em-all” recommendations are concerned | Comment! Hoffmeister, Torben, et al. “Effects of 3 weeks of oral low-dose Cobalt on hemoglobin mass and aerobic performance.” Frontiers in physiology 9 (2018). Humayun, Mohammad A., et al. “Reevaluation of the protein requirement in young men with the indicator amino acid oxidation technique–.” The American journal of clinical nutrition 86.4 (2007): 995-1002. Malowany, Julia M., et al. “Protein to Maximize Whole-Body Anabolism in Resistance-trained Females after Exercise.” Medicine & Science in Sports & Exercise (2018).